Many of us girls use cosmetics but how many of you girls are actually aware of it's content and production? Whether it's lab tested on animals or on any other living things which i am totally against. How can we humans be so heartless to do such procedure on innocent animals, even though they can't speak but it's basically violating their rights as a living being. Remember this video that went viral on social media about a girl who volunteered herself to be tested on like an animal but on public display as part of Lush's animal rights campaign. Ever since then this viral video has created public awareness on the things they have been using all these while has been cruelly tested on animals. I myself am a strong believer that every living being has it's rights whether it has a voice or not especially when it comes to animals. Eating them is another topic which i will not stress about but torturing them for test results? Really? In fact many are not aware of the brands they are currently using or have have actually been part of animal experimentation and most of them are big brands which you girls google search. But do support PETA as they are also one of the main organization for animal rights. 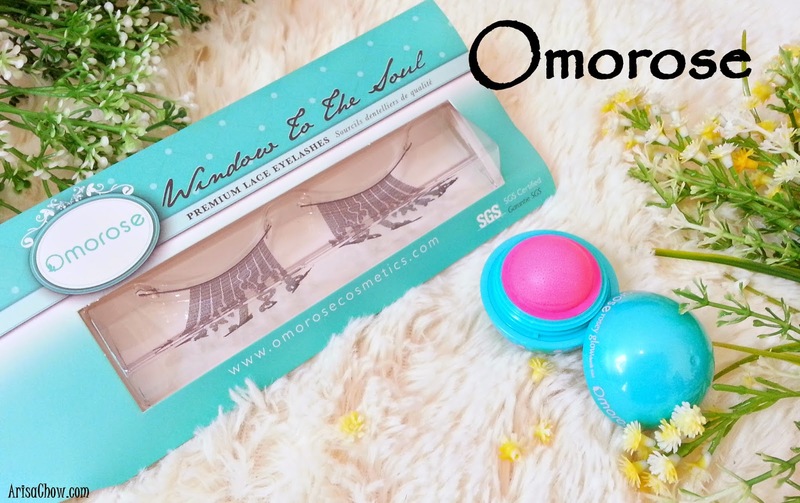 That is why when i first came across Omorose Cosmetics which is founded locally by 2 fellow Malaysians with a sincere heart to contribute back to the society. All natural and safe cosmetics with their main purpose to fight against animal cruelty, so their products are confirmed animal and environment friendly. What makes this cheek tint (blusher) unique is it's cute and compact packaging, unlike the usual blusher that come in a compact powder form or cheek tints that usually come in a tube. 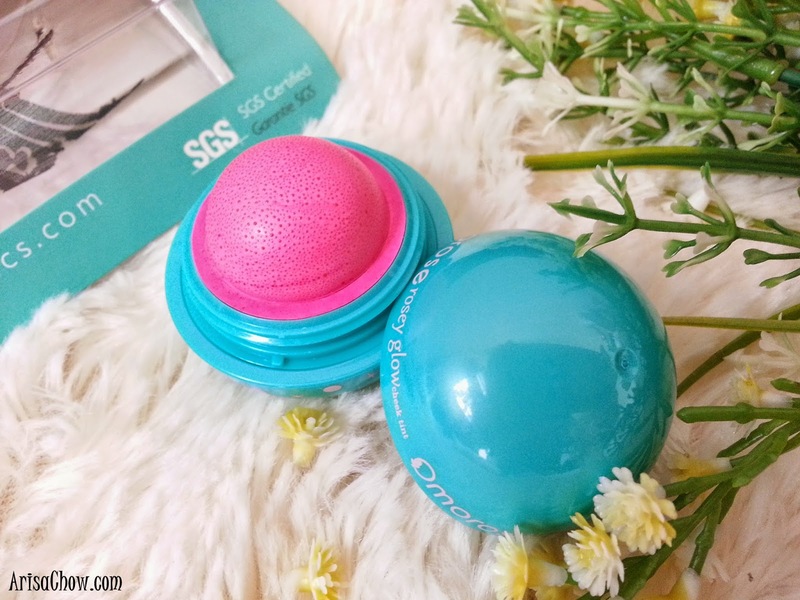 Omorose's comes in a cute sphere which pretty much reminded me of EOS lip balms lol. This amazing cheek tint doesn't only work as a blusher but it can also used as a lip tint thanks to it's all natural wax-like texture derived from a plant and coconut oil to maintain moisture. Easy, smooth texture makes blending effortless giving you a healthy glow, don't worry about it being too much one first application. After blending it, your blush will look pretty natural and if the colour is too light for your preference just gently build up the colour by reapplying and blending till you achieved the desired shade. From my experience it's quite long lasting since it's not powder which commonly usually drops after a few hours. This light blush it achieved with 2 layers, not too harsh right? What i love most i using it on my lips as it gives a matte finishing like the matte lipstick i previously bought from Covo. As for their high quality paper lashes which i couldn't resists (sucker for false lashes) admiring them for quite a period of time because it's just so pretty. Suitable for make up students who want to do fantasy like make up as it is photo ready making the most simplest eye make up pop with extravagance thanks to it's whimsical designs. Too bad i am Asian, hence wig and make up is the only solution lol. Have to warn you girls who are going to use it better be super gently with it, like all paper lashes it's pretty fragile but it's much more durable compared to usual paper lashes so it can be re-used a few times with proper care and storage. All items are available on their official website, then even offer wholesale services. So for those interested to carry this unique brand can contact them.